Medical and social advances have led to the amazing result that, on average, we are living much longer than generations before. However, because the retirement age has not shifted as drastically as the average life expectancy, this means we are retiring for many more years than previous generations. Nowadays it is not uncommon for people to spend a quarter of their life in retirement, so it’s important to plan ahead for such a huge part in your life both financially and mentally. The old age pension is not all it’s cracked up to be. The maximum age pension is around $23,000 per annum for singles and $35,000 for couples (assuming you own your own home). Furthermore, the population is ageing. This means MORE people will be retired needing government subsidies and LESS people working and paying the taxes to supply those subsidies. All of this means we need to save more for our retirement than the generations before. So here is a simple three step plan to help you do just that. I can’t stress enough how important it is to get an idea of how much money you need to retire. The reason is if you don’t have a goal in mind, then you have nothing to aim at, and in our experience, people who have something to aim for are almost guaranteed to end up with more money than they would have if they had no goal at all. However, this should give you a rough idea or at least a starting point. Why $1,000 and $750? 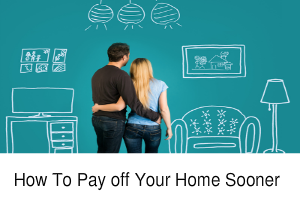 Because in our experience having worked with hundreds of retirees, we believe that these amounts would afford most retirees with a reasonably comfortable lifestyle. It’s by no means a lavish lifestyle, but it can definitely provide a comfortable one. Of course, you may want more or less, but this report is a guide only and designed to get you thinking. If you’re reading this article and your thinking to yourself, “how am I ever going to be able to afford to retire”, keep reading because I’m going to show you how you can afford a comfortable retirement with less than $150,000 saved in super! That means, $350,000 today is the same as $470,000 in 10 years’ time (assuming an inflation rate of 3% p.a.). Make sense? If not, re-read the above from the start with a pen and paper in hand and follow through slowly. What if you want more than $52,000 a year? One really great strategy for people on the age pension is that Centrelink lets you each person earn $6,500 a year without it effecting your pension. Even if you’re working for minimum wage that’s only one day’s work per week. This could be a great way to increase your income in retirement that most people overlook. There’s also a growing body of research that shows working part-time in retirement can actually make you happier! 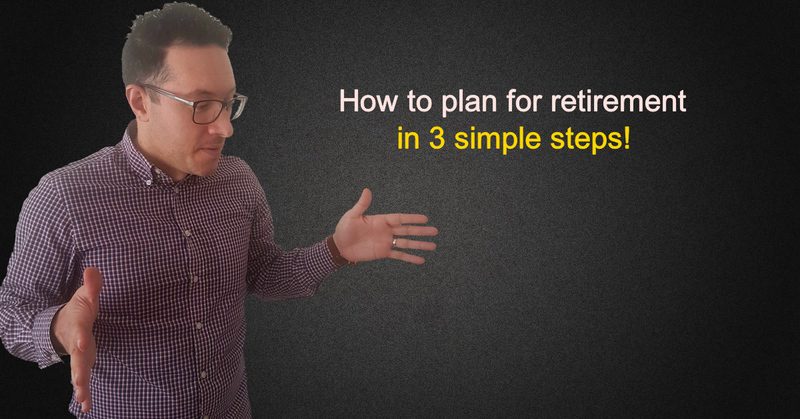 Once you’ve worked out your retirement number from step 1, the next step is to work out how you are going to get there. The sad truth is most people spend more time planning for their next vacation than they do planning for their financial future. YOU. MUST. BE. DIFFERENT! What is the best, most tax effective way to set up my retirement fund? Are my retirement fund investments too risky or too conservative? 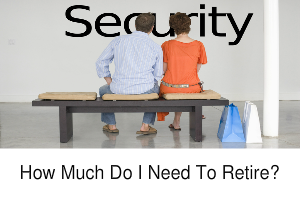 Will I have enough to retire when I want? Should I contribute more to superannuation? Is my default superannuation fund the best retirement savings vehicle for me? 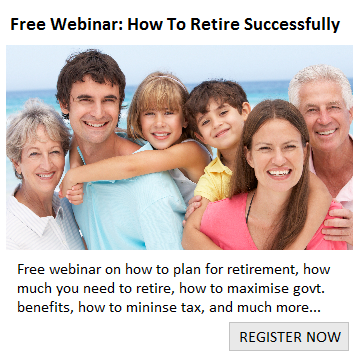 Will I qualify for any government benefits (such as an age pension)? What strategies I can use to improve government entitlements? What if I become ill or I can’t look after myself? Could I consider working part-time in retirement? 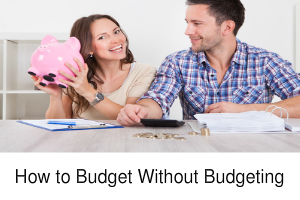 Because everyone’s circumstances are different we would definitely suggest getting advice as to what YOUR best options are in terms of saving for retirement. Step 3 – Don’t wait, Get Started right away! I know you have heard it before, but this is probably the most important part. The best time to start planning for your financial future has already passed. The second best time is now. In my opinion, procrastination is the number one reason why people don’t reach their goals. To drive this message home, let me share with you a story of twin brothers named Johnny and Jack. Johnny and Jack have just turned 65 – the traditional retirement age, however, their investment strategies could not have been more different. You see Johnny got a jump on his twin brother, opening up a retirement account at the age of 20 and investing $4,000 annually to it for the next 20 years. At 40, he stopped contributing to the account but left the money to grow in a tax free environment at a rate of 10% per year until age 65. Jack on the other hand did not start saving for retirement until the ripe old age of 40, just as his brother Johnny had stopped making his contributions. Jack also contributed $4,000 annually, in a tax free environment at a 10% annual rate of return. And Jack kept contributing the $4,000 until his reached 65 – 25 years in all. Therefore, Johnny, the early starter, invested a total of $80,000 ($4,000 x 20 years) while Jack, the late bloomer, invested $100,000 ($4,000 x 25 years). So by the time Johnny and Jack reached retirement age, which brother do you suppose had more money in their retirement fund? Well, it may not surprise you to learn that Johnny ended up with more money, but the real shock will probably come in learning just how much more. Get this: Johnny ended up with 600% more. Johnny, the brother who started early, ended up with almost $2.5 million whilst Anthony, who had saved all the way to age 65, had less than $400,000. That’s a gap of over $2 million! All because Johnny didn’t procrastinate and was able to tap into the awesome power of compounding for an additional 20 years. So the message is simple. Don’t put things off. It’s time to get off the sidelines and get in the game, because ultimately, we must all become investors if we want to be financially free.